Stylish long-sleeve men’s shirt in white. 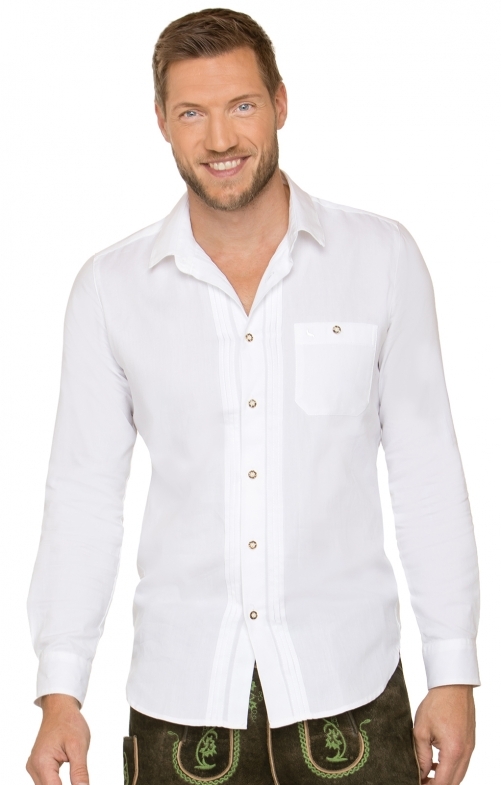 Dress to kill at Oktoberfest with this smart traditional Bavarian shirt in white. Featuring a front placket lined with deer horn buttons and flanked by frills, a buttoned pocket patch pocket on the chest emblazoned with an embroidered deer in white, and a double-cuffed long sleeve, this stylish shirt would complement a leather brogue and long Lederhosen ensemble handsomely.